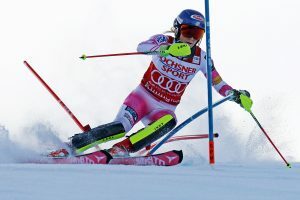 Killington, VT – America’s slalom sensation, Mikaela Shiffrin of Eagle, Colo., did it again on Sunday in Killington, holding off Veronika Velez Zuzulova of Slovakia and Swiss racer Wendy Holdener to win yet another Audi FIS Alpine Ski World Cup slalom. Shiffrin earned her 22nd career World Cup victory — and her 13th straight in slalom — by a 0.73-second margin despite a few small bobbles in her second run. Although she now calls Colorado home, Shiffrin attended Burke Mountain Academy in northern Vermont, and skied for an excited hometown crowd on Sunday including her 95-year-old grandmother, who got to see Shiffrin race this weekend for the first time ever. 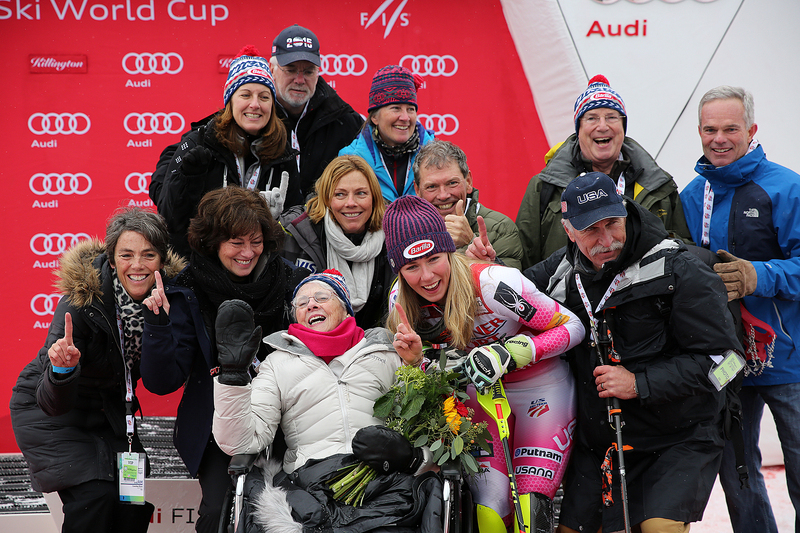 “The fact that my nana was able to watch this race is amazing,” said Shiffrin. “I can’t put that into words. The proudest I’ve ever been is winning this race in front of my nana. Shiffrin finished fifth in Saturday’s giant slalom in Killington. As on Saturday, large crowds of spectators were entertained by the local favorite at the first World Cup weekend held on the U.S. East Coast in 25 years. Among other Americans, Resi Stiegler (Jackson, Wyo.) finished 17th. Lila Lapanja (Incline Village, Nev.) and Megan McJames (Park City, Utah) did not qualify for a second run. Nina O’Brien (Edwards, Colo.) and Patricia Mangan (Derby, N.Y.)—who were racing their first slalom World Cup—did not finish the first run. Next up, the World Cup women head to Lake Louise for a speed series Dec. 2-4.